Cottage Brook Condos | FitzPatrick Associates, Inc.
Cottage Brook is more than a condominium or a place to live. It’s about a lifestyle. It’s about a simpler way to live. Located in the quiet community of Cape Elizabeth, Maine, Cottage Brook is for single families seeking the comfort and convenience of a condo, the beauty of highly-detailed design elements, and environmentally friendly features in a neighborhood minutes from schools, beaches and the city. Designed for comfortable living, all units will be on full foundations and have a 2 car garage. 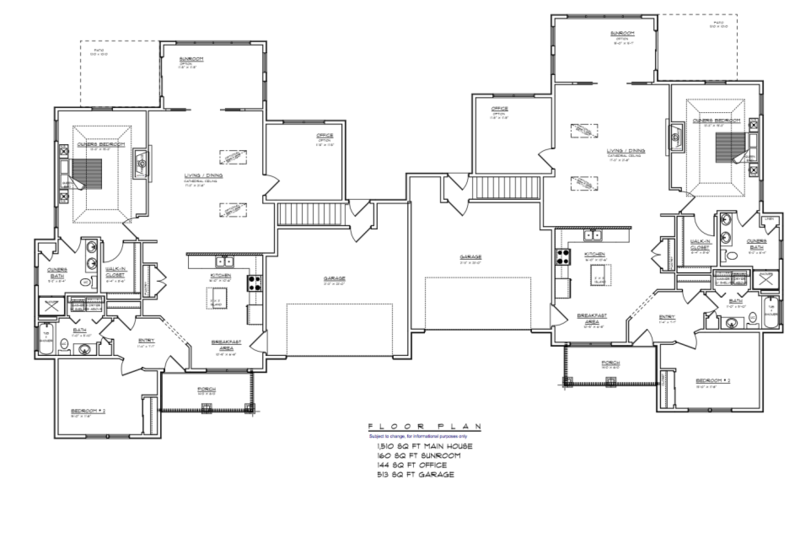 The following floor plans are a sample for future development. Potential add-on features are illustrated in the plans below and are not included with a base unit. Customization of layout may be available upon request. if you see a property of interest and would like to arrange a tour? Please contact Jim McFarlane anytime.